Although it is often thought that we eat too much fat, in fact many people don’t eat enough good fat. Our bodies need polyunsaturated fat, which contains essential fatty acids. Although oily ﬁsh are often promoted as good for our health because they contain fatty acids, fatty acids can also be obtained from vegetables. The very small amount of cod li...ver oil in the Fatty Acid Complex has been replaced by oil from marine algae. This means this product is suitable for everyone including vegans. We have made the switch over to a plant from a ﬁsh ingredient because of concerns about toxicity in ﬁsh and over-ﬁshing. Authorities around the world recommend limiting our ﬁsh consumption because of toxicity. For example the Food Standard Agency in the UK warn us to limit our consumption of ﬁsh because they contain dioxins and PCBs. They particularly warn pregnant women, breastfeeding women, girls and women who may one day have a baby and children to limit their ﬁsh consumption. Dioxins are by-products from a number of industrial processes. PCBs (polychlorinated biphenyls) are another type of pollutant, which were used mainly in electrical equipment. Health problems resulting from dioxins and PCB consumption are not apparent immediately. The World Health Organisation also recommends ﬁsh consumption due to mercury, which is highly toxic and, just like dioxins and PCBs, mercury accumulates in the body. would be dangerous for smaller ﬁsh too, leaving them vulnerable to disease and boom-and-bust cycles. In May 2011 the IUCN estimated that 200 of the 522 that is 38% of European freshwater ﬁsh species are threatened with extinction and 12 are already extinct. This is a much higher level of threat than is facing either Europe's birds or mammals. Furthermore, more than 40 species of marine ﬁsh currently found in the Mediterranean could disappear in the next few years. Blueﬁn Tuna, Dusky Grouper, Sea Bass and Hake are considered threatened or nearly threatened with extinction at the regional level mainly due to over-ﬁshing. Governments and regulatory bodies seem to be slow to take action and ineffective at protecting ﬁsh, but that is not stopping consumers and businesses from taking direct action. For example, in May last year Selfridges, of Oxford Street, London stopped selling 70 endangered ﬁsh species and ran a "no more ﬁsh in the sea" by 2050" campaign to raise awareness about over-ﬁshing. Supermarkets like Tesco in the UK now sell a wider range of ﬁsh to try to reduce demand for cod which are becoming endangered. There are many environment groups running campaigns and many individuals pledging to not eat ﬁsh. Why eat algae instead of fish? Oily ﬁsh are high in omega 3 fatty acids, (especially the long-chain omega 3 fatty acids) because they eat ﬁsh that eat ﬁsh that eat ﬁsh that eat ALGAE. The ﬁsh get their omega 3’s ultimately from algae, which becomes processed by the various ﬁsh in the chain, resulting in long-chain omega 3 ’s in tuna and other oily ﬁsh. Given the problems with ﬁsh, it’s better to obtain omega 3 fatty acids lower down the food chain, i.e. from algae. 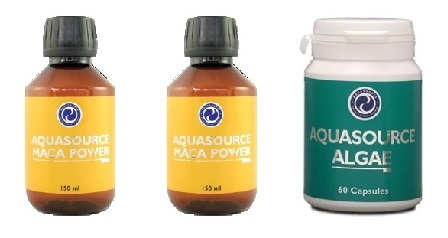 AquaSource Algae for example contains fatty acids. DHA marine oil is an oil produced from wild marine microalgae called Ulkenia sp. by a process of fermentation. The result is a higher concentration of the long-chain omega 3 fatty acid DHA than is normally found in plants. Research in 2009 showed the DHA from algae performs as well as ﬁsh oil, but without the side effects associated with ﬁsh oil. What is the difference between Fatty Acid Complex and Liquid Gold? 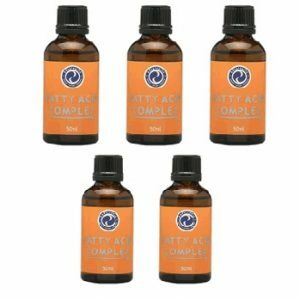 Fatty Acid Complex is a blend of many plant oils that are cold pressed and have minimal processing and are rich in polyunsaturated and monosaturated fatty acids, now with DHA marine algae. 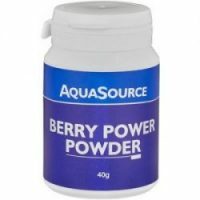 This product is suitable for everyone and has been a best-selling product for years. DHA and EPA. This product is especially important for those who are less able to convert short chain omega 3 fatty acids to long chain fatty acids: DHA and EPA. People for whom it is a higher priority to include more EPA and DHA in their diets are: pregnant and breastfeeding women, babies and infants, the stressed, athletes, and those looking for heart healthy diet. Support nature: EAT ALGAE not fish!